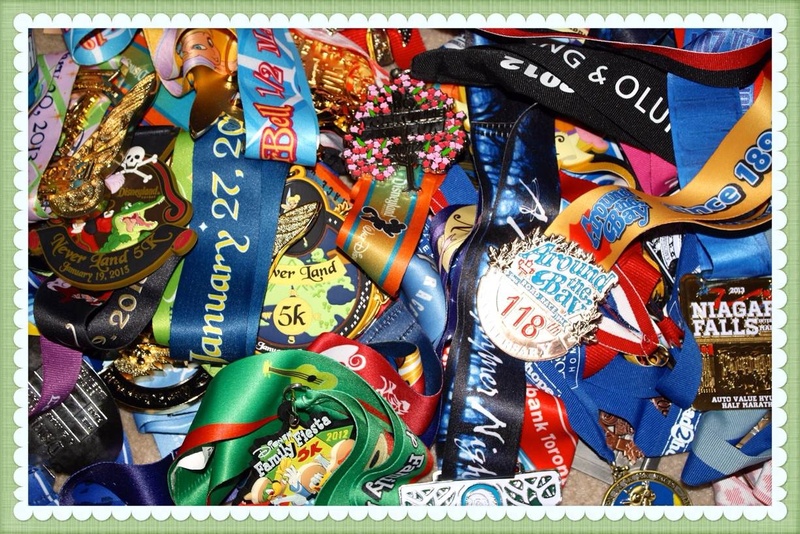 This entry was posted in Race Events and tagged Bling, Boston, Challenges, medals, races, Roch 'n' Roll, Run Disney, Running Events, Space Coast by Urban Running Girl. Bookmark the permalink. No shame here. I do love the bling! I’ve run a few races that didn’t have the hardware at the finish. Yep, there is something to be said for receiving medal at the end of the race. We all have our favourites for sure. Got a few I keep wearing over and over again. I’ve gotten rid of some, but I do save all my Disney race shirts. They are keepers. I think another part of it, especially in WDW with the goofy challenge was the, “Oh, you JUST did the marathon?” It’s weird, ’cause I don’t consider myself a medal person but I still signed up for Dopey… The insanity of it I found oddly appealing? I haven’t been tempted by the other non-Disney challenges, though. Dopey was indeed insane. I would do it again in a heartbeat, as it wasn’t the running that was so difficult. The lack of sleep was the most difficult part. Sure, I had the adrenaline going and all, but I’d definitely taper back on the post race activities if I do it again. You are right though…with Goofy and Dopey combined, I think that was about 12,000 entries into the marathon. (give or take) A really large percentage of total runners on marathon day. Not necessarily. I like the extra Disney races because the medals are rather whimsical and it is one more opportunity to run in Disney parks. I have done one “outside” challenge” the Go Far Challenge as part of the Fargo Marathon weekend. You run the family 5K on the Friday and then run the half or full the next day and get a third medal. I have not done it since (despite going to Fargo for the race again), whereas I could be talked into doing Dumbo again….or venturing to the other Disney challenges. Yeah, I agree on Disney with you. My thought, “if I’m there, I might as well do them all”. (aside from the kids races of course…ahem, cough, cough). Kidding aside, I haven’t signed up for any extra medal bling aside from Disney. I never say never, but it’s not on my radar any time soon. I agree, though I have never done the 5K races. Any “family” 5K races I have done, including the Fargo one, have always left me stumbling through precarious, nearly injury causing situations. lol. I blame some of that on the child participants and some of that on my epic clumsiness. Definitely fun runs. You can never really run a Family 5K. I have sometimes walked them….not out of choice, but yeah, it sure beat tripping over someone while running. I’m not a fan of the extra bling. I see it as a gift-with-purchase when you spend more money, kind of like the ones you get at the Clinique counter. In fact, I sold my Rock and Roll heavy medals on ebay. I got so irked at the medal for two half marathons saying 26.2 that I never even took it out of the plastic wrap. I’ve done multiple full marathons, and two half marathons does not in any way equal 26.2 except in math. There used to be a series in California that awarded a jacket. That seems like a much better prize to me. The medals are nice as mementos, but after you get the medal for doing the event, what good is another one? I’d rather have something useful….or even a discount for further races. That would be even better. I do like getting the bling! Last year I signed up for the Flying Pirate Half once I saw a pic of the previous year’s medal. They had a back to back 5k and 13.1 challenge, but was too much money for the 5k, so I stuck to the half. I’m originally from Ohio, so I am familiar with the pig. Never thought about running it tho, that would be a good pair! I agree on the prices. I would’ve run that 5k if it hadn’t been so redonk. I have a Mickey medal (among other non-Disney medals) and I would love to collect a Goofy, or a Dopey!